If you belong to the fraternity which prefers and misses the strong vibrations with incoming calls from old feature phones, we will show you an alternate way to create a strong notification for incoming calls – by activating the led flash notification for your Android phone. Most smartphones nowadays lack decent vibrations, hence flash alerts on call and SMS can act as great substitutes. Also, flash notifications are important from the accessibility point of view, hence some Andriod ROM manufacturers and OEM’s (original equipment manufacturers) include this feature natively on the operating system. 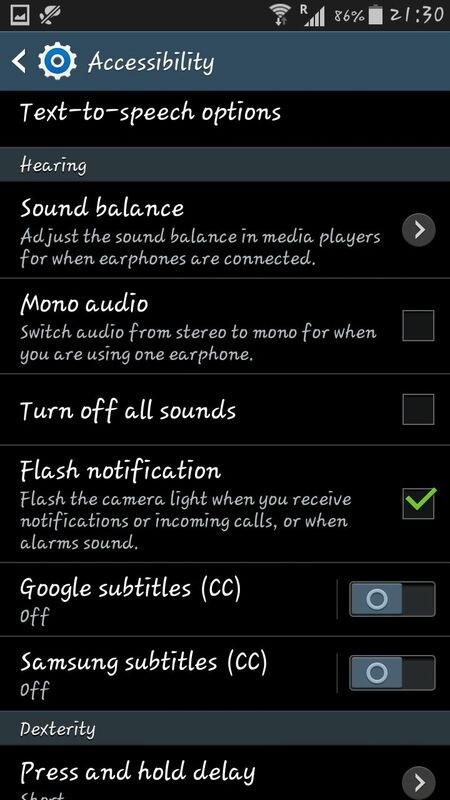 We will go through in detail how to activate and use the led flash notification on your Android phones. Most phones with custom UI’s (eg: Samsung, Xiaomi) have the led flash notification built-in natively into the operating system. 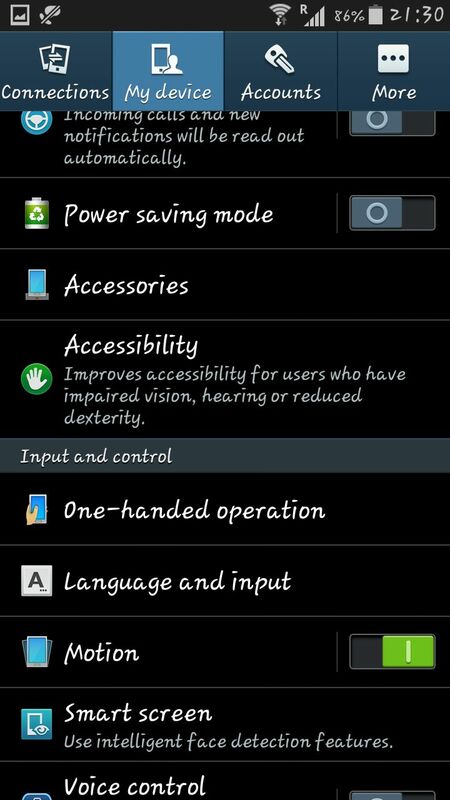 This setting can be found commonly by going to Settings >> Accessibility. There, you will find a setting called Flash Notification / Flash Alerts. By selecting that setting you can easily enable the flash alerts on call and SMS. Regardless of your phone’s manufacturer and model, the Accessibility setting is where you should search first for the call flash alerts. The procedure on a Samsung device. Step 1 – Go to Settings and select Accessibility. Step 3 – Select OK and the LED flash notifications will be enabled. 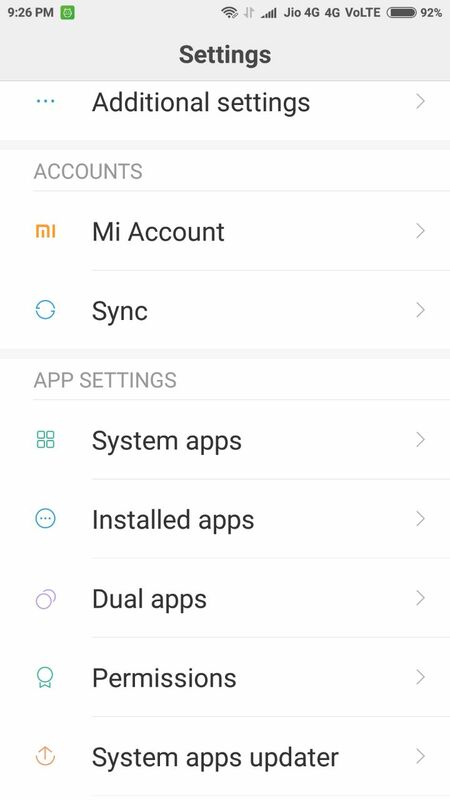 The steps are a bit different on a Xiaomi device. 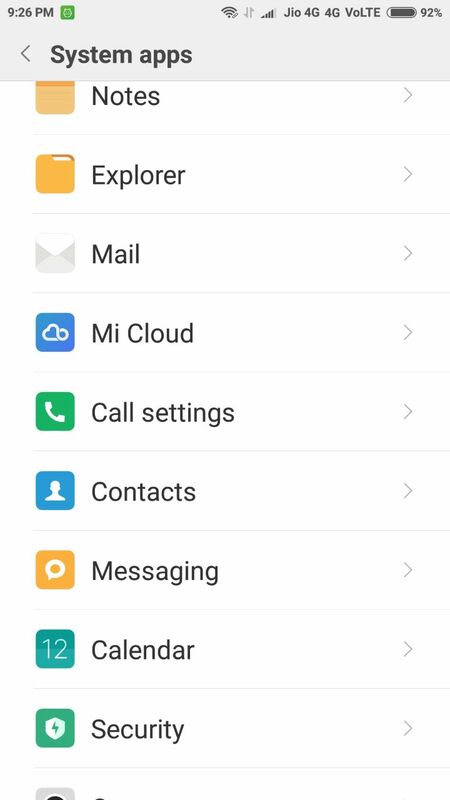 You need to go to Settings >> System Apps >> Call Settings. 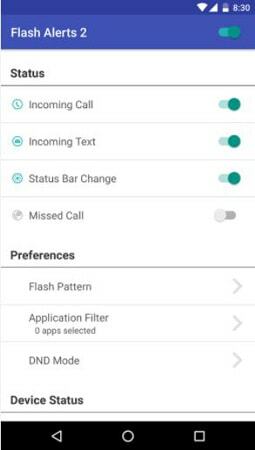 In Call Settings, select the option saying Flash when ringing. 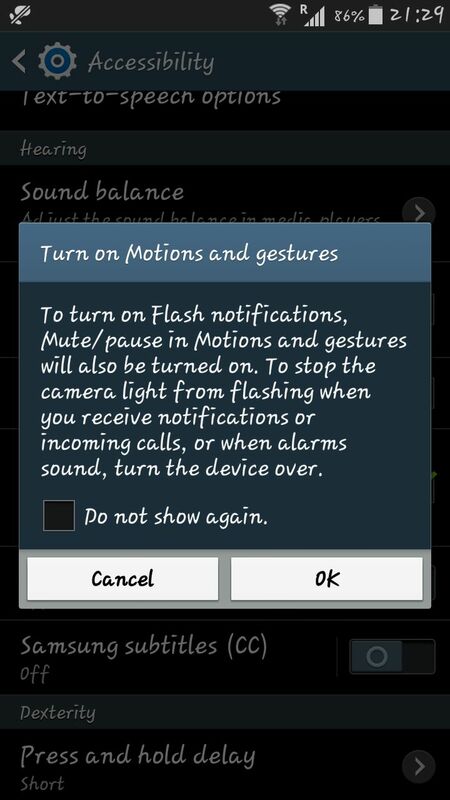 This will set up flash notification light for incoming calls. 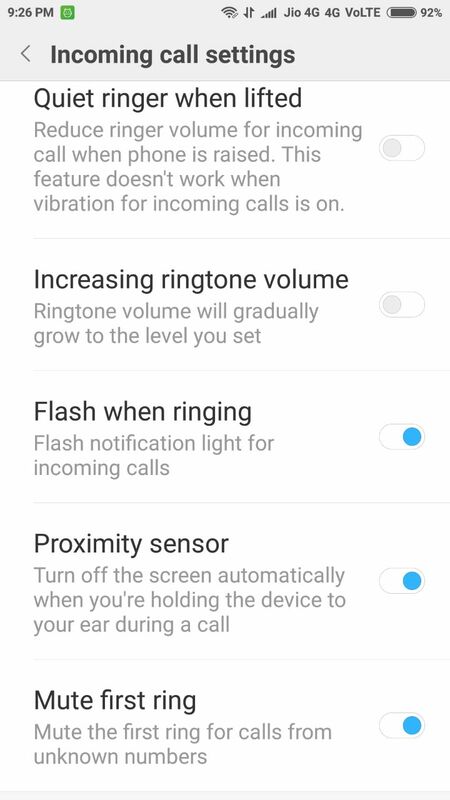 In case you were unable to locate the led flash notification setting via Settings, try searching once in the Settings app. Most often this setting will be listed as flash notification or flash alerts. Searching for these keywords will lead you to the exact options under which the setting is listed. If the setting is present on your phone, it will show up in the results. You can then go ahead and enable this feature on your phone. Do not despair if you were not able to activate the led flash notifications natively on your phone. There are plenty of third-party Android apps available on the Google play store which enable the led flash notification on installing them. Some of the apps provide additional customization options. Using these options, you can tailor the call flash alerts to suit your requirements. Here are a few popular and high rated apps from the Google Play Store that you can use to enable flash alerts on call and SMS. Flash Alerts 2 from MegaWave Software is one of the most popular and heavily downloaded applications on our list. The flash will blink whenever a call or new text message arrives on your phone. 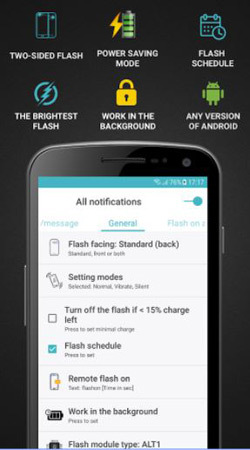 You can control and change the blinking frequency of the led flash notification. Status Bar notifications trigger the flash alerts on the Pro version of the app. 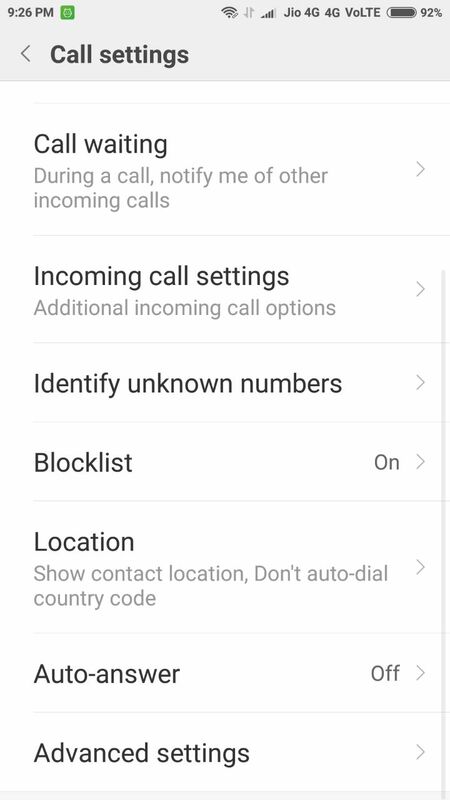 The Pro version of the app also includes settings for Do Not Disturb, and the flash notification can remain enabled or disabled on basis of the phone’s status (ring, vibrate, silent or interactive state). 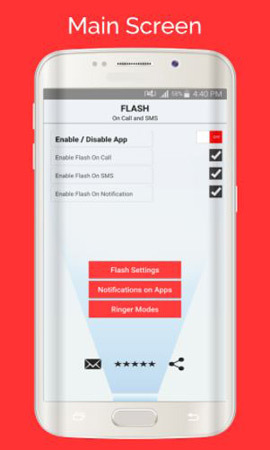 This app provides flash alerts on call and SMS and also has an option to set up multicolor led flash notifications. The flash can be turned on or off with a single tap. The number of flashes per message can be configured by the user accordingly to his/her requirements. The app is extremely optimized and consumes very little battery and requires low storage space. The blinking frequency just like the number of flashes per message can be regulated to suit the user’s needs. This app provides a fully customizable camera flash alerts for when the device is ringing or when a new SMS or MMS arrives. The free application allows the users to customize the number of flashes and speed for all incoming calls and messages on the phone. 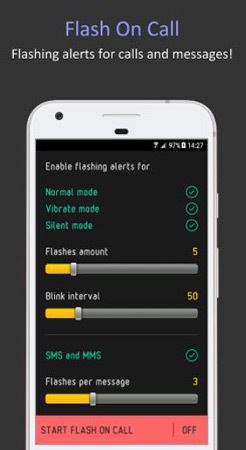 The led flash notifications can be configured on basis of the phone’s modes (Normal, Vibrate and Silent modes). The application is extremely light-weight and includes a battery saver mode to save the device’s battery life during emergencies. This application lets the user use any side of the device’s led flash to create led flash notifications. The front, back or both flashes can be used for the flash alerts. The huge number of settings in this app lets the user set up unique alerts for all situations. The time for each flash, an interval between two flashes and the maximum flash duration can be set up for the calls. Flash notifications can be set up for missed calls and unread SMS messages as well. The flash alerts can be configured to respond to events from other third-party applications (comments, likes etc.,). 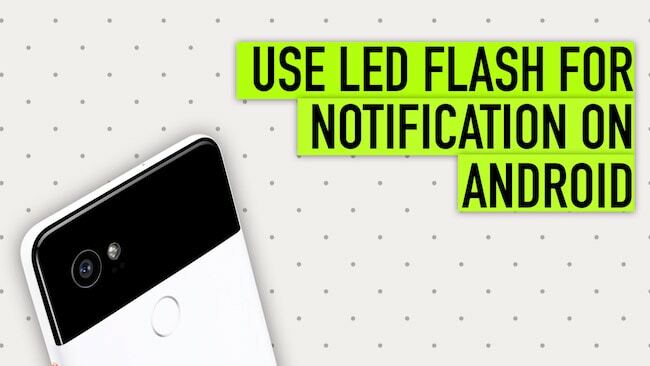 Like the other apps, the led flash notification works on silent, vibration or normal mode of your device. An interesting feature of this application is triggering a remote flash by sending an SMS to your phone. In case you cannot locate your phone, send an SMS with the text “flash on 30” (30 being the number of seconds the flash should be turned on, you can customize this number). The flash turns on for the specified amount of time. This energy saving has a flashmob setting so that you can show your support at mass events like matches and concerts with your camera flashes. This user-friendly and top-rated app on the Google Play Store lets you set up led flash notifications so that you avoid missing calls in areas your phone must be kept on silent. The app comes with a variety of options to let you tailor the blink interval and the flash blink count on incoming calls and SMS to your liking. The app works in all ringer modes and you can choose to enable or disable the app on different ringer modes. LED flash notifications are a good way to receive calls in areas where you need to keep your phone on silent. 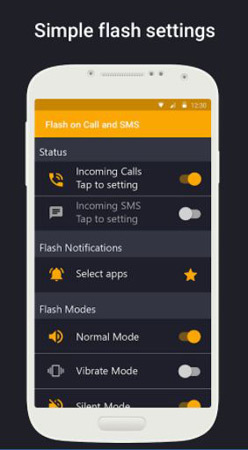 Also, this feature is very important from an accessibility point of view as people with hearing impairments can use the call flash alerts and receive calls. This little Android notification trick can help locate your phone when it is in silent mode – the incoming call will trigger the flash notification and make your phone conspicuous. These flash alerts will also satisfy the needs of users who miss the strong vibrations from the earlier feature phones. Rimil is a web developer and an aspiring iOS developer from Bangalore. She loves reading, baking and learning about new things in general, and technology in particular.